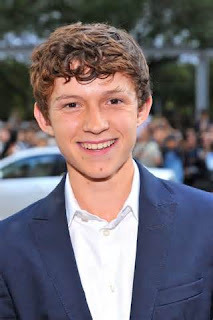 Last week, it was announced that Tom Holland would be playing Spider-man in the upcoming Captain America: Civil War. We gathered together to write a letter to Marvel about this. Here's what we have to say. Honestly, by this point, it only seems fair for some of your Spidey fans to feel jaded. We've been through quite a few Spider-Man movie adaptations by now--some of them great, and some of them kind of cringe-worthy. And a lot of that success, for me, has hinged on who you've casted as Peter. As someone who loved Andrew Garfield and his awkwardness in the role but could barely watch Tobey Maguire--and someone who really, really loves the Spider-Man character--I've been waiting pretty nervously to see your next pick. And then you announce him, and I have no idea who he is. On one hand, I don't know anything about Tom Holland--I don't know what kind of roles he’s played or what his acting style’s like. But hey. I trust you, Marvel. And I love it when an "unknown" gets chosen for a role, because it means they can really become that specific character in my mind. Plus, this guy actually looks like Peter Parker--kind of young, kind of average. His age is what excites me most: I feel like we'll finally get a convincing teenage superhero, and that'll stand out even more sharply with Spidey surrounded by giants like Cap and Iron Man. ("Giant" being completely figurative in Tony's case, of course.) It gives me hope that we'll be seeing a fresh take on the Spider-Man cinematic lore, and I'm pretty pumped for that. With any luck, this new take on casting can mean something similar for Spidey’s future solo movie, too. We’ve all seen the origin story a million times—tweak its details and love interest all you want, but I think it’s fair to say we’ve all had enough of it. Instead, I want a story that takes advantage of what made Peter Parker unique as a superhero from the very beginning: the fact that he’s a teenager. It’s something that can set Peter’s story apart from those of all the other heroes we’ve seen so far in the MCU, and I’m sure it’ll give him a fresh perspective in the midst of the Civil War craziness. Basically, here’s looking at you, Marvel. Here’s looking at you. I understand you’ve been swinging the rights of Spider-man from one movie company to another and there’s a big web of complications that come with it. I know that this includes the changing of actors, story lines, and comic adaptations that come with it. But do we really need another origin story for our Friendly Neighborhood Spider-man? We only had a Spider-man reboot three years ago. Three years! In three years will we be starting over again? While it’s cool to add another young face to the mix with Tom Holland, I can’t help but think it could have gone in a different direction. First, you could have just kept Garfield, right? Obviously if you go anywhere on the internet you’ll find plenty of fangirls who love his portrayal and even fanboys who agree he nailed the part. Why not keep him? Was he not included in the deal? Second, you just revamped the comics with a new Spider-man, a Spider-man of color, Miles Morales. While some people may not like his origin story because he sounds wimpy or lame, I can assure you it would have been an interesting twist to the MCU. Plus, you could have had Garfield swing into the part for a brief shot to help the new Miles Morales come into his Spidey skin (or web). It seems it could have been the perfect balance to 1. satisfy fangirls of Andrew Garfield’s Peter Parker 2. introduce another POC in the MCU 3. have an origin story we haven’t heard already. While I have no opposition to Tom Holland--he’s a new face without baggage of past movies or stereotypes from being a child star--I don’t know how this will leave Andrew Garfield’s supposed trilogy. Will you just leave it dangling with the end of the second movie? Because I kind of wanted to see the rest of his story arc play out… which could have led to this new Spidey taking over. I’m sure you--as the High and Mighty Comics-to-movie Adaptation Lord--know what you are doing. I have put my trust in you thus far, don’t leave me disappointed. Anyways, Spider-man isn’t my favorite hero, so as long as he provides a few laughs and helps out the team, I’m glad to welcome him to the Avengers. Speaking of the Avengers, I have a few words to say to you about a certain Star-Spangled Man, but I suppose I’ll leave that for another time. What's up? How've you been? All pleasantries aside, I'm here to talk about the latest Spider-Man casting. Yes, I say latest, because this is the third one in thirteen years. But I'm sure you already knew that. First off, about Tom Holland. He's not a bad choice. I'm sure he'll do great. He looks fresh-faced and ready to take on the world. I have no doubt he'll be great as Peter Parker, and I'm excited to see how he does. However, I'm here, once again, to talk to you about the lack of diversity. You've obviously heard of Miles Morales. You may have even heard people say that we need more people of color in the MCU. And it's true. While I love The Avengers as much of the next girl, there's no doubt that there is a distinct lack of balance. The world is diverse, and to reflect that, the MCU should also be. I look forward to seeing how Tom Holland does, and I bear no ill will towards him. 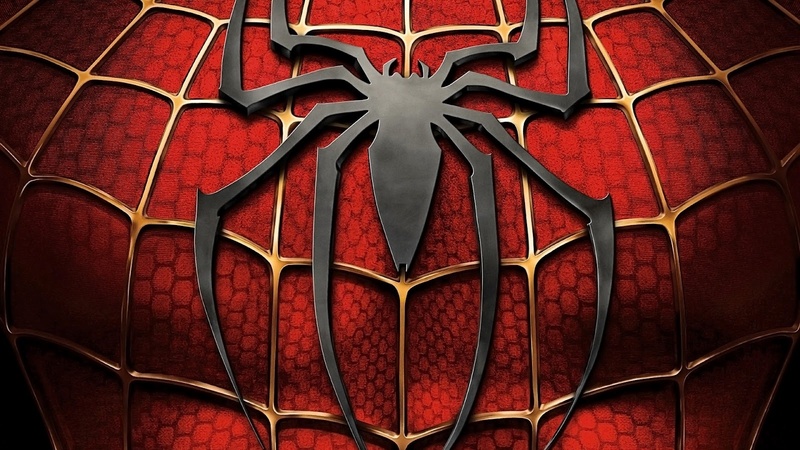 I think it will be nice to have Spider-man in The Avengers franchise. But I'll still be wondering what might have been. You've no doubt heard this all before, but I wanted to make my voice heard. If you need to get a headcount on those who are asking for diversity, count me in. Perhaps this isn’t the place to go off on a tangent. After all, perhaps those rumored emails between you and Sony are just that: mere rumors. And even if they are real (which they likely are), they seemed to focus more on Peter Parker than on Spiderman. I suppose it’s a good thing that you want to adhere to Parker’s original story (seriously, though: we know you were planning to do that anyway). And in terms of casting him, I think you made a decent choice. Tom Holland does seem to look the part. There’s not much else to say about him, though, since none of us really know how well he is on the screen; he’s only been in six films thus far (and two of them were animated). 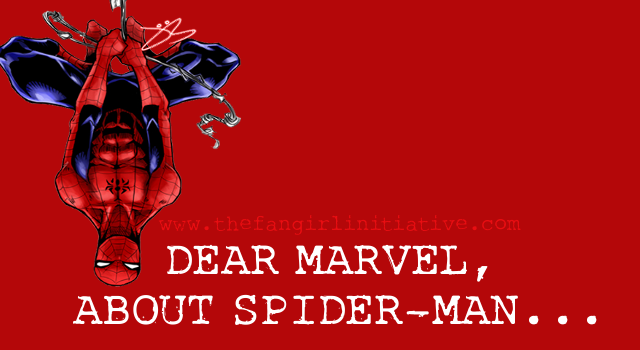 May I just say, with all due respect, that we as fans do not need more Peter Parker? 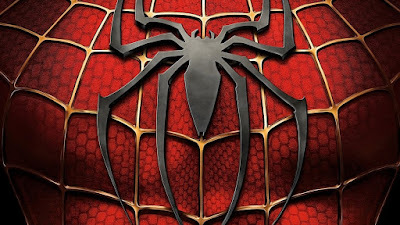 For one thing, Sony made not one, but five movies about Parker in the past two decades. Not only that, but two of those films were roughly the same thing: an origin story! Andrew Garfield did a great job in the role, and I don’t doubt you’ll try to breathe new life into Parker again since you’re obviously planning to do just that. But for goodness’ sake, you do have options, you know! You don't have to cast a white actor! 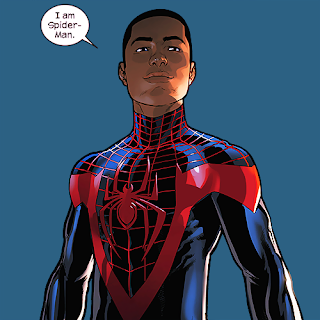 I don't even read the comic books, but I still know about… (cue epic music)… Miles Morales. I implore you to consider the impact that he could have on your stories and your franchise! 1. Miles Morales isn't in the cinematic universe yet. His origin story hasn’t been explored by all of those people who don’t bother to read your comics. A lot of them are actually getting tired of Spiderman, if that were possible, but this will reinvent the hero and keep him fresh for them. 2. Miles Morales is beloved by comic book fans. That means, if you were to use him instead of Peter Parker, the comic book fans would go ballistic. They would practically do the press release for you! The internet is a big place, and lots of articles and news would center around this new character, why you chose him, and why people love him. In other words, you would get lots of attention, and that’s always a plus, right? 3. But most importantly, that attention would be positive, because daring to make a movie with Miles Morales would be another step towards really acknowledging and respecting the racial groups who are being somewhat ignored or pushed to the margins in your franchise. It’s a very sad fact that all your Avengers are Caucasian, and all of your superheroes with origin-story films are male Caucasians. Yes, you do have Nick Fury and War Machine and Sam Wilson and Black Widow and others, but right now you’re treating them like supporting characters at best. There’s really not much left to say beyond that, Marvel. I am but one of hundreds— nay, thousands of voices who are begging you now: we have had enough of Peter Parker. We want a female superhero with her own movie. We want a Marvel hero who is not a Caucasian man. Honestly, what could you possibly have to lose? You’ve already made a movie with a talking raccoon! What do you think about the new Spider-Man casting? The first image in our post was made using a transparent base from here.